We have already seen a number of videos of the new Porsche 911 GT2 RS in Action. Now we have another one with the GT2 RS on the track. In the latest video for the new Porsche 911 GT2 RS, Mark Webber and Porsche 911 GT2 RS and Walter Röhrl take to the track in the most powerful Porsche 911 To date. The Porsche 911 GT2 RS has a top speed of 211 miles per hour, it has a 0 to 62 miles per hour time of just 2.8 seconds and a massive 700 horsepower. 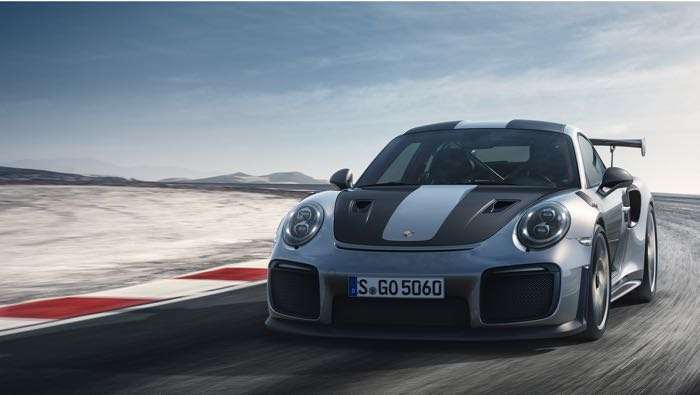 You can find out more details about the new Porsche 911 GT2 RS over at Porsche at the link below.